There are certain things we don’t often talk about, even with our friends. But, maybe some things should be discussed more often! Especially when we can commiserate together, laugh at ourselves, and even help each other out! Did you know that 1 in 3 women experience LBL (light bladder leakage) – little leaks that can be triggered by everyday occurrences like coughing, sneezing, laughing and exercise. Recently, as I told my friends about writing this post I was amazed at how many had a funny story to tell about LBL. Having babies certainly changes things! We discussed using extra period pads on sick days for sneezing and coughing. Wishing we had extra protection during funny movies, when we exercise, or want to jump around with our children. Ya’ll, Poise says #RecycleYourPeriodPad. They have a pad for that! No more using extra bulky period pads for LBL. Designed to move with your body, new Poise Thin-Shape pads feature Super Absorbent Material (SAM) and a Thin-Flex design for extraordinary protection that’s still 3x drier than period pads† to help you take care of leaks with confidence. No more being more worried about crossing your legs tightly than covering your sneeze! 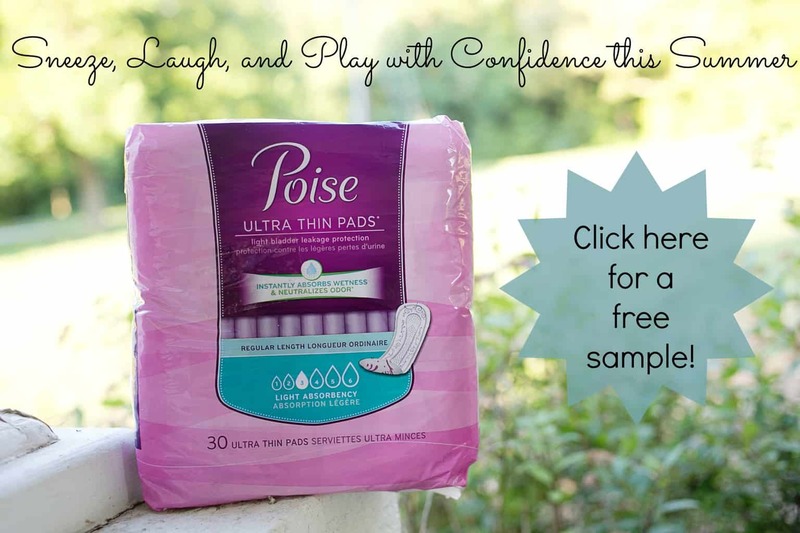 Click here to get a free sample of Poise Thin-Shape Pads! Trust me- you’ll be glad you did! Love a good sample opportunity! Glad there is a product like Poise to make life a little easier. *Raises hand* Every since I had a urinary tract infection three years ago, this happens when I sneeze. And since I have allergies, I sneeze a lot! Thanks for the sample! I was happy to recycle my period pads and try out the new poise pads. They are a great product and I'm glad they finally created a pad designed for LBL. I don't have this issue, but now I am worried...1 out of 3 - goodness that's a lot of ladies! I didn't realize that many women had this issue. Ive heard some new moms have this after birth but thankfullyI don't deal with it. I've had this issue at times and have been glad to have ways to stay dry. Love the packaging. It's actually pretty classy. That's a cute little discreet carrying case! Luckily I don't have this issue yet, but goodness, you're right, it should be discussed more.